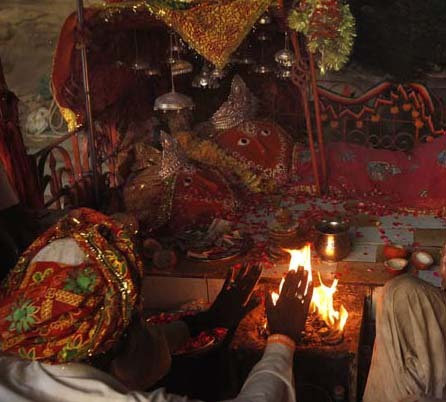 Goddess Hinglaj Mata is an incarnation of Goddess Shakti and is one among the 51 Shaktipeeths. 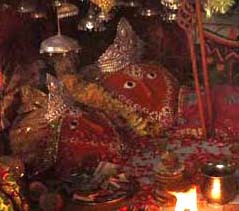 The head of Goddess Sati is worshipped here. The deity takes her name from the mountain cave Hinglaj on the Makran coast in the Lyari District of Balochistan in Pakistan. 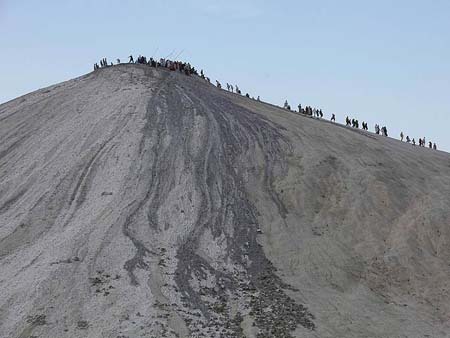 Dawn Newspaper has created a image gallery of the Hinglaj Mata Temple and famous Mud Volcano. Link - You can view all the 14 images here at the Dawn image gallery.